Try Wet Institute Pool and Spa products for high quality pool filtration goods. 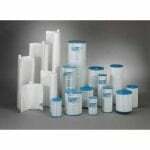 Filters Fast carries various pool and spa filters to suit your water filtration and purification needs. Try Wet Institute Pool and Spa products for high quality pool filtration goods. The Filbur FC-1950 compatible replaces the Wet Institute 17-2812 and features anti-microbial properties which prevent foul odors, algae, black mold and other harmful contaminants from growing on the filter that can result in lost filtration. 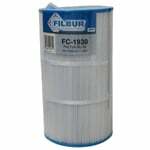 The Filbur FC-1950 compatible replaces the Wet Institute 32050204 and features anti-microbial properties which prevent foul odors, algae, black mold and other harmful contaminants from growing on the filter that can result in lost filtration. The Filbur FC-1950 compatible replaces the Wet Institute 330 and features anti-microbial properties which prevent foul odors, algae, black mold and other harmful contaminants from growing on the filter that can result in lost filtration. The Wet Institute 32050201 Comp. 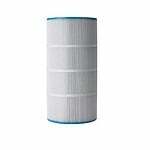 Pool Filter Cartridge 20-Pack is a spa filter replacement featuring 6 square feet of media area for the reduction of waterborne contaminants in pools and spas. 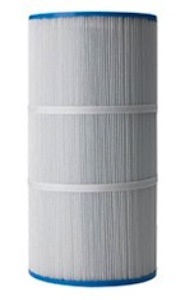 This pool filter measures 2 7/8" x 14 11/16" with 1 1/16"
The Wet Institute 4983 Comp Pool/Spa Filter Cartridge is a spa filter cartridge that effectively improves the quality of pool and spa water. Through media area of 60 square feet, this compatible Wet Institute filter reduces waterborne contaminants.